We know you’re always looking for the best Prosecco offers, and we are only too happy to oblige. The delicious Italian sparkling has soared in popularity over recent years and it’s easy to see why. With its light, refreshing taste and pocket friendly price, Prosecco is the perfect tipple to enjoy any time! Whether you’re enjoying a mid-week treat, a get together with friends or simply a refreshing accompaniment to your evening email, Prosecco is the perfect partner! Now all this sipping doesn’t come for free, which is why we’re determined to bring you the best value for your money. With our Prosecco deals, you’ll never have to worry about being too indulgent. There’s an option in the range for everyone, no matter your taste or budget. So please enjoy these incredible prices, all presented to you in one place! *This article is showing the prices and stock available on 05/04/2019. Prosecco. The reasonably priced fizz we all know and love. It’s light, refreshing and looks just as glamorous as champagne in a flute. What’s not to like? Nothing it seems! Prosecco has surged in Popularity since the 2000’s and it doesn’t seem to have peaked yet. In fact, it is the best selling sparkling wine across many major UK supermarkets and sales are still increasing year on year. The Price: There’s no denying we like to get a bargain, however, we don’t like to sacrifice on quality. The lower price point of Prosecco makes it accessible to everyone. It’s an easy solution when you wat to celebrate with friends and family but you don’t want to spend a fortune on Champagne. It’s delicious: Prosecco has a much lighter taste than champagne. This makes it a lot easier to enjoy on its own and as an accompaniment in cocktails. It’s fruity taste appeals to a wider audience and keeps them coming back for more. It appeals to the younger market: The lower price tag and light flavour make Prosecco an ideal choice for those who are new to sparkling wine and the younger generation who would have previously relied on cheap spirits. It’s also very easy to find in bars and restaurants. It isn’t reserved just for celebrations: Because Prosecco isn’t associated with extravagance, it can be enjoyed whenever you feel like it. Whether you serve it at a party with your nearest and dearest, or a glass on you own in the evening – it’s the perfect anytime treat. It has less calories: For those dieters among us, who deprive yourselves and reserve alcohol for ‘cheat days’, you can hold your hands up and rejoice. A flute of Prosecco contains just 80 calories or around 60 calories less than a glass of wine. See, all things enjoyed in moderation! It reduces blood pressure: In moderation, Prosecco can improve the functioning of our blood vessels by increasing blood flow. Why is that good? Well, increased blood flow decreases both blood pressure and the likelihood of clots forming, which means you are less likely to suffer from cardiovascular disease and strokes. Woohoo! It protects against Diabetes: A study in Denmark surveyed over 70,000 people and found that seven or more glasses of wine per week lowered the risk of diabetes by 25 to 30 per cent (don't worry, that includes the one with sparkles too). So there you have it. Our favourite sparkling can now be enjoyed so much more. You’ll feel positively smug at your next soiree. 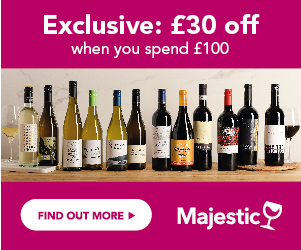 Just think, you’ve saved a bundle on Champagne, improved your health and boosted your social life – all for under £10! We've got the best Prosecco offers and you can find them on our Prosecco page now! Whether you're looking for a case of Prosecco or a particularly cheap Prosecco, we have the products for you! Prosecco is both a grape variety, and a wine region, in northern Italy. Over recent years, it has become known as the definitive brand name for Italian sparkling wine, arguably the most successful wine launch in recent years. Where Cava reigned supreme for the last 15 years, as the affordable alternative to Champagne, Prosecco has now taken over that mantle. Sparkling wine and Champagne drinking trends have changed dramatically in the last 10 years; these wines have become more accessible, and keen pricing has meant that they have become more affordable, and therefore more ‘everyday drinking’ than they used to be. Until a few years ago, Champagne sales were buoyant, and one of the most rapidly growing sectors of the drinks industry. However, in the last year, the trend has changed, with Champagne seeing a 5% value decline. In contrast the sparkling wine market has never looked stronger, enjoying a growth of over 10%, with over £400million sales in the UK. Cava accounts for almost 40% of this, but the last few years have seen the meteoric rise of Prosecco, as the new trend in sparkling wine drinking. Around 150 million bottles of Prosecco are now produced annually. Why Is Prosecco So Popular? Prosecco is a lively, dry sparkling wine, with relatively low alcohol at 11%, which hit the UK market about 8 years ago – partly championed by M&S, who first made the general wine drinking public aware of its charm, accessibility and affordability. Whilst Champagne, at an average price point of over £18 is still viewed as a luxury item, sparkling wines such as Cava and Prosecco, which average £7, based on the frequent heavy discounts, have made this sector of the market affordable, and not that much more expensive than still wine. This in itself has driven the change in usage of, and attitude to sparkling wines, moving them from a special occasion status, to a drink that was affordable to be purchased and enjoyed on an everyday basis. This trend was started because of Cava, the Spanish sparkling wine, which hit our shelves about 15 years ago, initially with 2 big brands, and then with a host of supermarket own brands – heavily discounted, it was this wine that drove this shift in perception and usage. Prosecco is the new sparkling wine darling, having taken over from Cava, as a point of difference, and a wine that is generally a little lighter and fresher in style than Cava. Prosecco, whilst seen on offer in most retailers, have managed to retain a slightly higher average price point and image than Cava, and is less subject to the half price deals, for which Cava is known. It therefore has a more positive, and premium image. Prosecco comes from the Veneto and the Friuli-Giulia-Venezia wine regions of north eastern Italy. It’s the name of the region, but also the informal name of the grape from which the wine is made, the Glera. All Prosecco must be made from a minimum 85% of this grape, with the other ones permitted being local grapes and also the international sparkling stars Chardonnay, Pinot Bianco, Pinot Grigio and Pinot Noir (called Pinot Nero). Historically, the region has always had a strong tradition of producing sparkling wines – it’s in the north of Italy, they don’t get as much heat as many regions, and the climate and soil is well suited to these grapes and this style of wine making. The tradition goes back to the first Prosecco wine company, Carpene Malvoti, set up in 1868 by Antonio Carpene, who first introduced sparkling wine production to the Valdobbiadene and Conegliano areas. Prosecco was also the first region in Italy to have a wine school, the now famous Scuola Enologica di Conegliano, which has also pioneered and promoted the production of high quality sparkling wine. Originally the area also produced still wines, but now the entire production is focussed on Prosecco, and there are over 185 wineries in the region. The last few years have seen major changes, and the success of Prosecco on the international market has hit the region, like a whirlwind. Until 2010, Prosecco was named after the grape variety from which it is made, and was produced in a limited DOC area. However, Prosecco, the grape, was also being grown in other countries, such as Australia and Brazil, so this, in combination with the increase in sales and international success, resulted in new laws and regulations regarding production. A new area, called ‘Prosecco’ was created, and vineyard area increased by 25%. The original designated area was made a DOCG, and that is where the top quality Prosecco now comes from. The broader, wider DOC area is flatter, and the yields are higher, with many new plantings. This means that only wines grown in these areas are allowed to be labelled Prosecco. Prosecco is made by the Charmat method, which means the secondary fermentation, which produces the bubbles is done in a sealed tank, before bottling, rather than in the bottle itself, which is the traditional champagne method. Apart from a different style, with lighter, slightly larger bubbles, it is also a much cheaper way of producing sparkling wine. Initially a light, fresh, simple sparkling wine, which was traditionally used in the famous Venetian ‘Bellini’ cocktail, the overall quality of Prosecco has increased dramatically in recent years, with more subtle flavours, finer mousse, and a more delicate style, due to better practices both in the vineyard and the winery. There are 3 styles of Prosecco, although the original still wine is now hardly ever seen. The other 2 are Prosecco Frizzante and Prosecco Spumante – the difference between the 2 is purely down to the amount of sparkle and fizz in the glass – Frizzante has a lighter, more gentle bubble, but the difference is minimal – Frizzante has 2.5 bars of pressure in the bottle, Spumante has 3. The very best Proseccos come from the DOCG areas of Conegliano-Valdobiaddene, and Colli Ascolani and it’s worth looking out for these names on the label and paying just that little bit extra for a whole lot more quality. Around 60% of all Prosecco comes from these DOCG areas. Which Variety of Prosecco Will I Like Most? If you are shopping for Prosecco regularly you’ll have probably noticed 'Spumante', 'Frizzante' or 'Extra Brut' terms next to the brand's name. Knowing the true meaning of these can help you choose the best bottle to suit your taste preferences. Spumante - this is the most bubbly and iconic one with a really persistent fizz. It is also the most popular in terms of production - 60% of all Prosecco out there is Spumante. Frizzante - has less bubbles and they don't last for long after serving due to the short second fermentation process. It's still very popular, making up around 39% of all production. Tranquillo - the rarest 1% variety because it has no bubbles at all. It is still produced from Glera grapes and in Veneto region and is hard to find outside Italy. Now let's focus on sweetness. Depending on whether you like your Prosecco slightly drier or sweeter, understanding the label correctly will help you choose the right one for you. Brut - the driest and most modern of them all, it has less than 12 grams of residual sugar per litre. It tastes lively and citrusy and makes a perfect aperitivo. Extra-Dry - counter-intuitively, this is less dry than Dry! It contains between 12-17 grams of residual sugar per litre. Very popular and classic with balanced acidity, it’s both fruity and floral. Dry - funnily enough, it's the least dry variety here! It can contain up to 32 grams of sugar residue per litre. This type of Prosecco is very peachy and mellow, but also much harder to find. *Please note, that residual sugar in Prosecco has nothing to do with added sugar. It's the amount of natural sugar derived from grapes only and is measured in grams per litre, after the fermentation stops - or is stopped by the winemaker on purpose. What Does Prosecco Taste Like? Prosecco is a light, fresh, fragrant sparkling wine, generally dry in style. It is generally slightly lower in alcohol than many sparkling wines, averaging about 11%. The lower alcohol level is one of the factors in its recent rise to fame, as wine drinkers look for slightly lighter, yet still flavoursome styles. With a very pale, delicate colour, it has a gentle, floral, and appley aromas, much lighter and fresher in style than Cava, and less intense than most Champagnes. On the palate, it has a delicate, apple blossom and ripe pear character, with hints of acacia honey, but primarily a fresh acidity, and lively delicacy. Vintage Prosecco is by definition richer and more concentrated, and there are also some semi-dry Prosecco wines. Sparkling Rose from this region is generally dry, and pale in colour, with a delicate strawberry and rosehip character. What Does Prosecco Go With? Prosecco is the perfect aperitif – and the perfect wine for lunchtime entertaining and picnics, due to its lower alcohol level. At 11% it is 1.5% lighter than Champagne, and has a fresher, more delicate style. It’s perfect with canapés, and is very food friendly – it may struggle a little with Asian influenced canapés, but works with most. Perfect with crisp salads, it also works with tomato and basil salads, prawns, salmon and delicate chicken dishes. Its natural delicacy also makes it a great match for a simple bowl of strawberries.